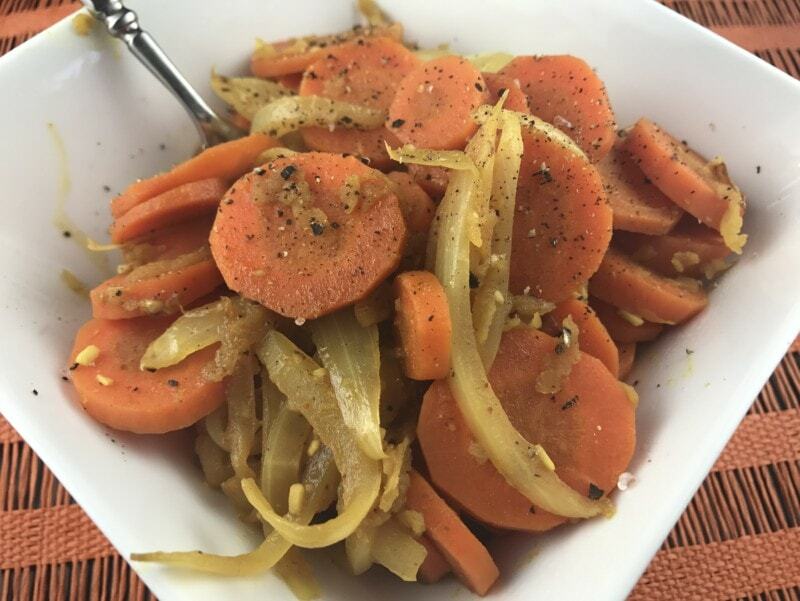 We cannot get enough of these carrots! Alright, I cannot get enough of these carrots! 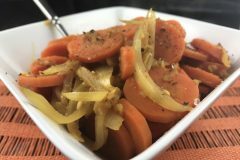 I remember my grandmother making these Easy Curried Carrots all of the time! They are fast and easy and most importantly fabulous! Perfect as a weeknight side or for a special occasion, this is a recipe you will make over and over again! My grandparents had the biggest garden and my grandmother was always looking for new and different things to do with all of her vegetables! 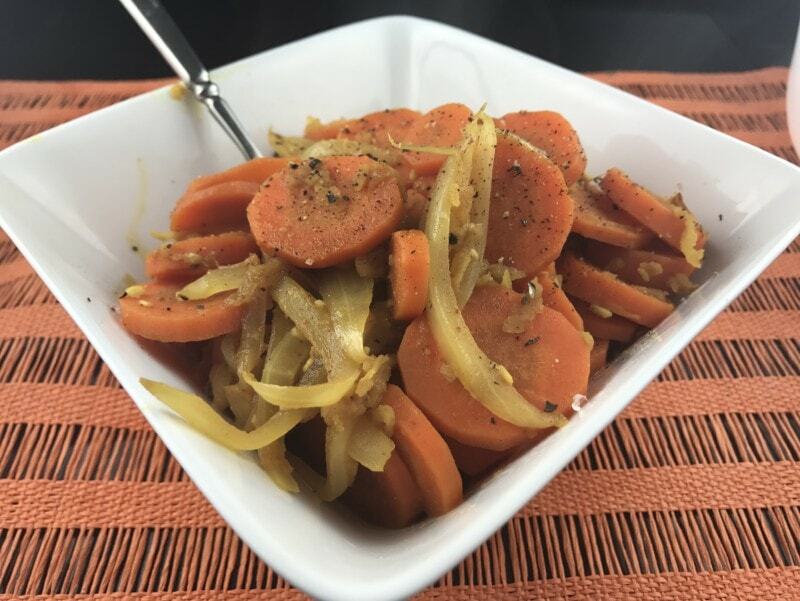 This recipe for Easy Curried Carrots fits the bill! Yummy every time you make them! 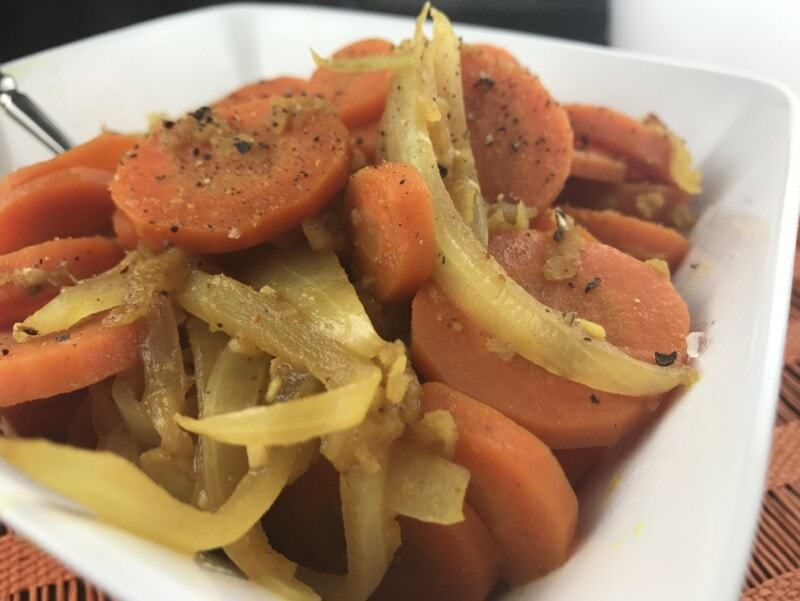 This recipe for Easy Curried Carrots is perfect for all of you carrot fans out there! This is a recipe you definitely have to try! You can never have too many different recipes for vegetable sides in your arsenal! Have a look at our video! In a large saucepan, heat oil until it shimmers or a drop of water flicked in it dances. Add onions and cook until tender. Add garlic, carrots and curry. Cover and cook over medium heat for 5 minutes. Stir in apple and water or broth. Cover and simmer for 7 minutes or until carrots are tender but still a little crunchy! Add salt and pepper to taste. Serve immediately. Enjoy!